The "Unleashed" looping yo-yo was the successor to YoYoJam's "Sunset Trajectory" looper. 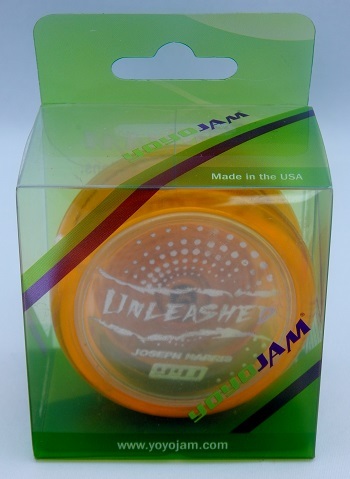 This particular yo-yo was the signature model of 2008 US National 2A champion Joseph Harris. The general body shape and ability to adjust the gap using shims was taken from the Sunset model and used in Unleashed. The most notable change was the replacement of YoYoJam's popular O-ring response system with a unique starburst response that is molded into each body halve.